There is an opportunity to contribute £30 to the Bar Pro Bono Unit while renewing your practising certificate in February and March. In 2016 over 50% of the Bar made this contribution during the Authorisation to Practise (ATP) process. This included over 85% of QCs and the majority of the donations came from the publicly funded bar. Last year the Unit celebrated 20 years of enabling access to justice, through the efforts of the many barristers registered to take pro bono cases through the Unit. The Unit estimates that in twenty years of existence, pro bono barristers have assisted around 7,750 times, helping thousands of deserving individuals to access legal help. The number of individuals applying to the Unit for legal assistance continues to increase, and whilst the Unit and volunteer barristers cannot help everyone, the Unit is focused this year on becoming more agile and efficient at helping people. We're running a campaign on Twitter throughout March called #annual30 highlighting something to celebrate each day. See our celebrations so far. 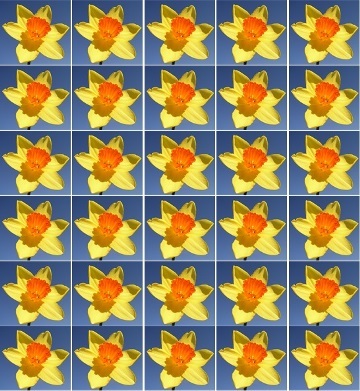 We started with 30 daffodils on 1st March for St David's Day. During AtP you have the opportunity to contribute £30 to the Unit. Let’s get it to over 60%! Renew today here.